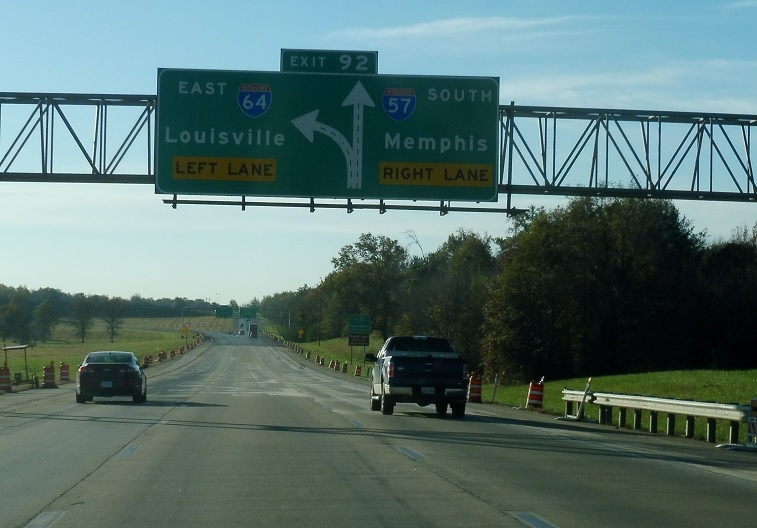 Just after the Illinois 15 interchange we’ll get advance notice for the 57/64 split. 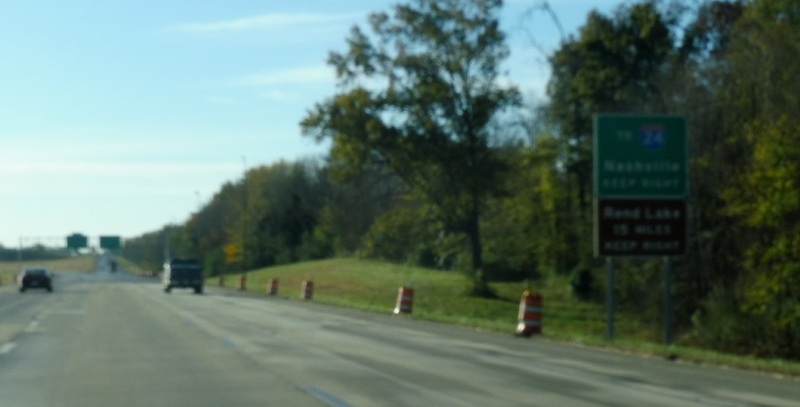 Keep left for 64 east. 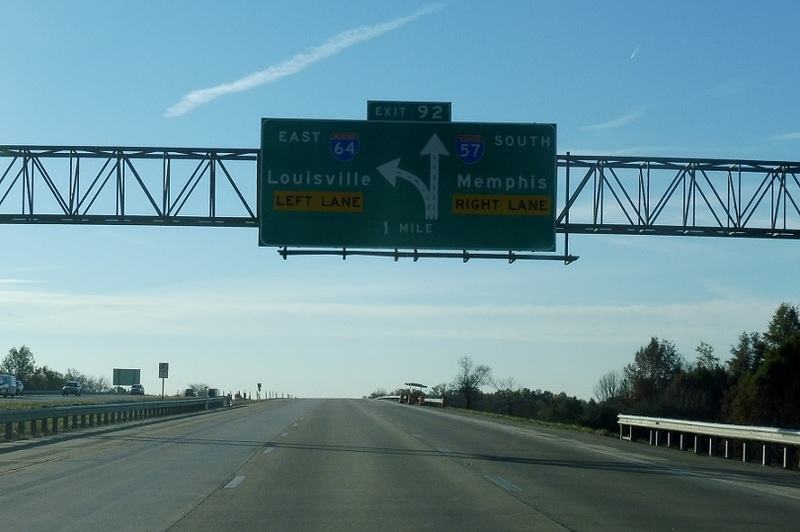 Keep right for 57 south. 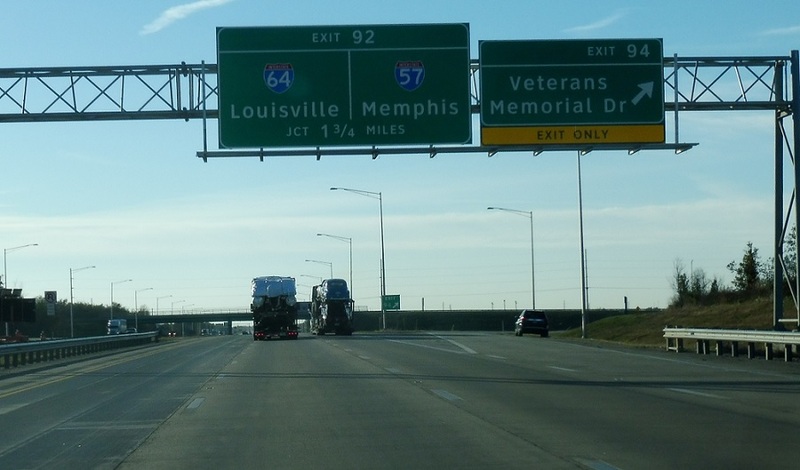 Follow 64 east to Louisville, Ky. 57 south heads towards Memphis, Tenn. 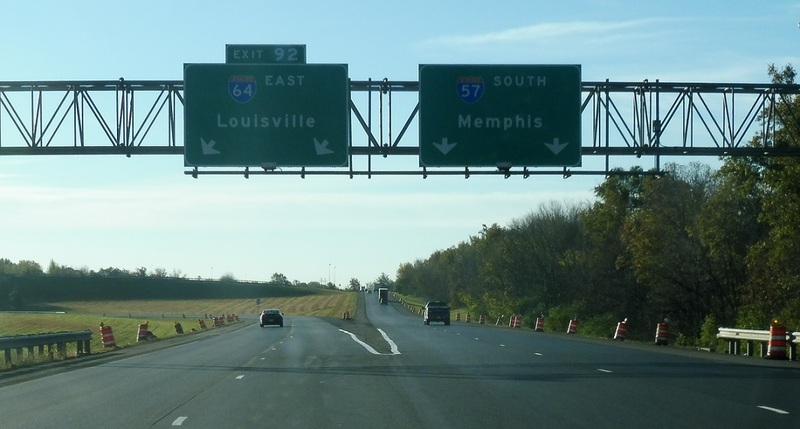 Follow I-57 south to Nashville, Tenn. and Interstate 24.